Secret Wars @ Gloria's boutique this evening Thursday 24th. 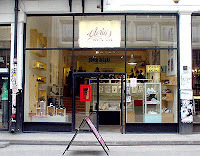 Monorex have painted Gloria's shop windows with some sneaker inspired characters. There will be free beer while it lasts at this evenings party and the Monorex guys will be battling it out Secret Wars stylie on some Tagur kicks.